High tech products with the "Swiss made" label. 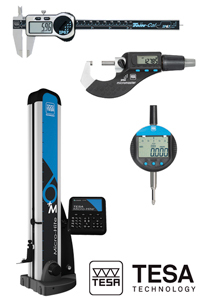 The line-up of TESA consists of a complete range of measuring instruments and systems, from calipers to measuring systems like height gauges. Ask our sales department for more detailed information about TESA products and special offers.